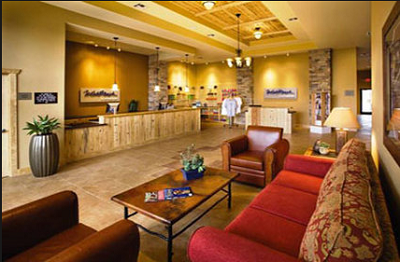 The very popular Gruene River Resort was built in the historic town of Gruene, Texas, and was purchased by Wyndham to be part of their acclaimed vacation time-share resort properties. 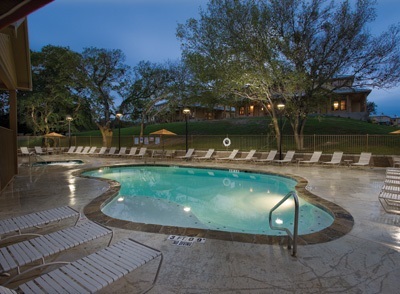 Located between the fascinating cities of Austin and San Antonio, this resort rests in the heart of Texas Hill Country, with its find rolling hills, winding rivers, and some of the most captivating geography the great state of Texas has to offer. 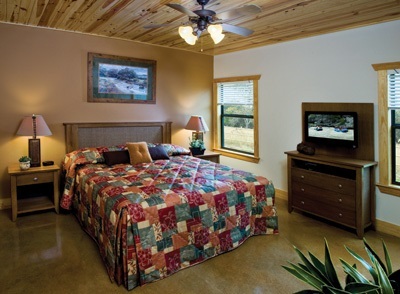 The 46 spacious duplexes are either 3/2 or 2/2 designs with vaulted ceilings and charming craftsman-style wood accents. 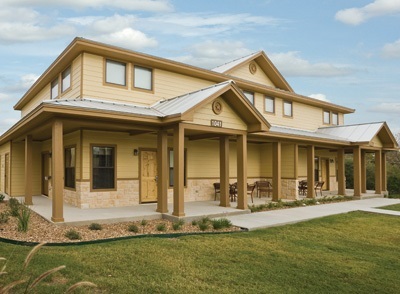 Each unit features a two-story living kitchen area with wood ceilings and wrap around porches. Other spaces include a full kitchen, breakfast area, laundry room, powder room, and exterior storage. 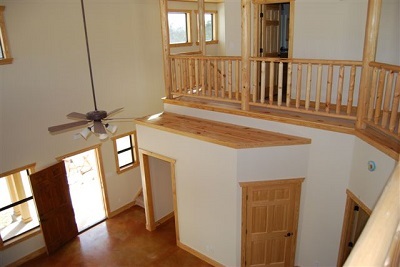 The second level has a loft, bedrooms and full bath. The impressive designs and custom touches can be seen throughout the property, transitioning from room to room. 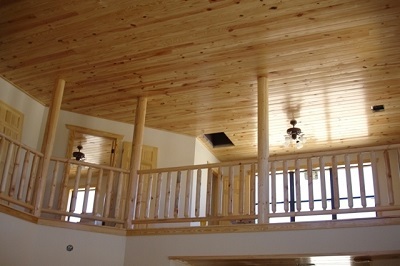 The rustic Texas interior has ponderosa pine knifed pealed and sealed columns and railings and pine tongue and groove ceilings. The expansive wrap around porches give way to incredible views of the oak tree- covered property and picturesque Gruene River just beyond.